Please inform Apartments Suton in advance of your expected arrival time. You can use the Special Requests box when booking, or contact the property directly with the contact details provided in your confirmation. 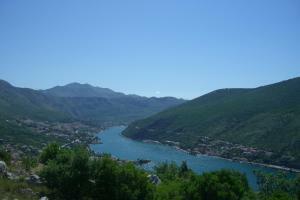 Apartment Ive ~0,2 km, Mokosica Apartment Ive presents apartments with free internet access in Dubrovnik. It is 9 km from Stradun and the Walls of Dubrovnik. Each air-cooled apartment includes a patio with sea views. The kitchen is fitted with an oven, microwave and stove. 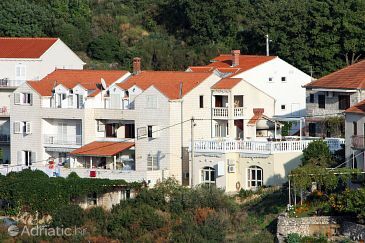 Guest house Rozić ~0,3 km, Mokosica price per day from € 63 Bed and breakfast Rozić is located in a beautiful surrounding of the River Ombla, 10 km from Dubrovnik’s Old City. The property presents air-cooled accommodation and free internet access. A sizable outdoors terrace with dense greenery and breathtaking flowers is at guests’ disposal. Some apartments come with a well-equipped kitchenette with a dishwashing machine, coffee amenities and a toaster. A furnished balcony looking out over the Adriatic Sea is also available. Free on-site car parking is provided. A bus stop close to the House Rozić takes guests directly to Dubrovnik’s historic quarter. Apartments Mondo ~0,2 km, Mokosica price per day from € 55 Apartments Mondo are situated in the real heart of Mokosica, 12 km from the UNESCO-protected Dubrovnik. The closest beach is 500 metres away, while gratis wireless internet and free car parking are available. All accommodation units feature modern and breathtaking furniture, air-conditioning and a lcd tv with satellite channels. There is a dining establishment serving local and international specialties 2 kilometers away. A bar and a pastry shop can be found just a couple of meters away. Bus Station and Ferry Harbour can be found 8 km away, while local buses stop just 30 metres away. Lapad ( ~ 2 km ): 656+ apartments. Dubrovnik ( ~ 2.5 km ): 1597+ accommodation units. Zaton Dubrovnik ( ~ 4.9 km ): 194+ apartments. Kolocep ( ~ 6.9 km ): 17+ accommodation units. Orasac ( ~ 7.7 km ): 36+ apartments. Srebreno ( ~ 10.1 km ): 163+ apartments, 9+ villas, 8+ hotels. Beach Fkk Cava, Dubrovnik ~ 2,4 km from Apartments Suton Gravel beach: with caffe bar, equipped with showers. Beach Copacabana, Dubrovnik ~ 2,6 km from Apartments Suton Gravel beach: ideal for families, recommended for young people, with restaurant, with caffe bar, equipped with showers. Excellent choice of watersports. Beach Lapad, Dubrovnik ~ 2,8 km from Apartments Suton Sandy beach: ideal for families, recommended for young people, with restaurant, with caffe bar, equipped with showers. Excellent choice of watersports. Beach Hotel Bellevue Dubrovnik ~ 3 km from Apartments Suton Sandy beach: ideal for families, recommended for young people, with restaurant, with caffe bar, equipped with showers. Excellent choice of watersports. Beach Hotel President ~ 3,1 km from Apartments Suton Concrete beach: ideal for families, recommended for young people, with restaurant, with caffe bar, equipped with showers. Excellent choice of watersports. Restaurant Vapor , Dubrovnik Guest reviews: 8,6/10 ~ 3 km from Apartments Suton Address: Bellevue Hotel, Dubrovnik. Cuisine: Croatian cuisine. Restaurant Caffe-Pizzeria El Toro, Dubrovnik Guest reviews: 7,1/10 ~ 2,9 km from Apartments Suton Address: Iva Vojnovica 5, Dubrovnik. Cuisine: Mediterranean cuisine. Restaurant Magellan vl, Dubrovnik Guest reviews: 9,3/10 ~ 2,9 km from Apartments Suton Address: Iva Vojnovica 7a, Dubrovnik. Cuisine: Italian cuisine. Restaurant Sandvic bar Buono, Dubrovnik ~ 2,8 km from Apartments Suton Address: 28 Ulica Iva Vojnovica, Dubrovnik. Cuisine: Sandwiches. Restaurant konoba Vinica, Dubrovnik Guest reviews: 10/10 ~ 2,8 km from Apartments Suton Address: 20 217 Pridvorje, Dubrovnik.